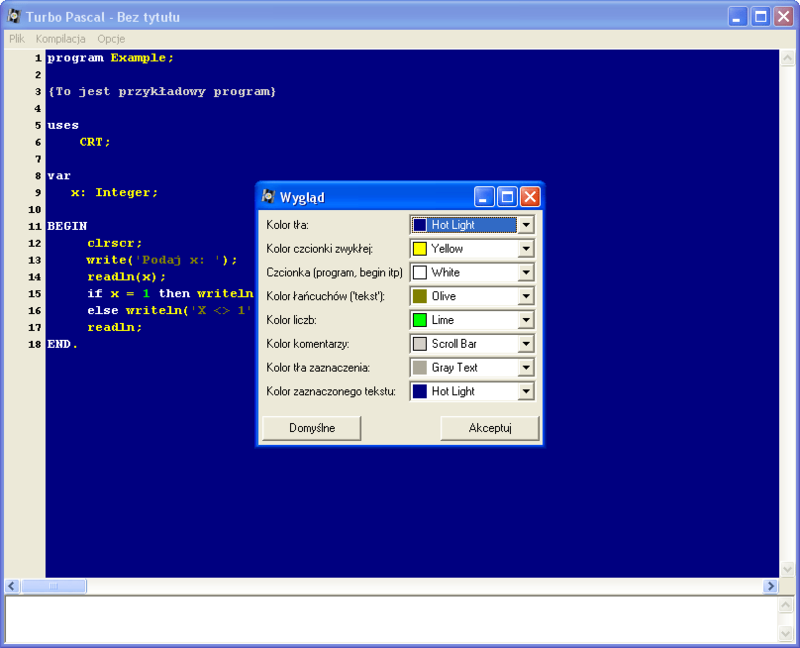 Status line object for Turbo Pascal. Requires Object Professional. manage a single or multiple status line. FA are flexble Attributes for topic writing. Line(s) are cleared with attribute in FA. to allocate space for first topic in status line. Name is text to display into status line. K is the key to return when clicking in topic whit mouse. (15 bytes + length(Name)), false elsewhere. increment current Row when constructing topics. at first column. IncRow returns false if no more rows are available. for internal use only. Called by StatusLine.Draw. Calls DrawTopic for each topic entered with AddTopic. Calls HideTopic for each topic entered with AddTopic. Deallocate memory occuped by topics and screen memory.